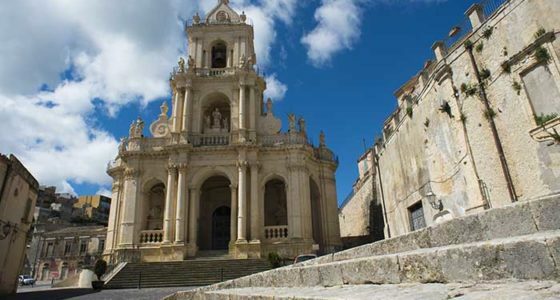 Here you will find itineraries to discover Sicilian attractions and the most beautiful cities of Sicily. The Sicilian Baroque, The UNESCO World Heritage Sites and all the must-see destinations on this island! For example: The Valley of the Temples in Agrigento, Taormina, Caltagirone and the charm of the other small towns in the south-east of Sicily. 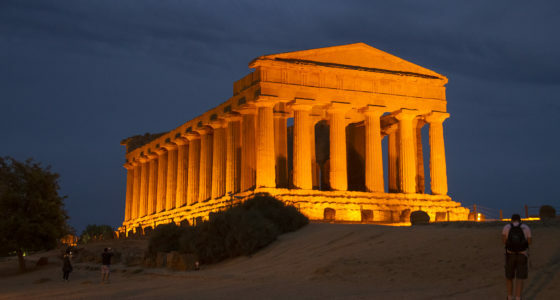 It is one of the most important archaeological sites in Sicily, as well as the best preserved. Here, there are important Doric temples from the Hellenic period. Among these, the beautiful Temple of Concord. The sunset makes this place even more impressive, while seen it at night is a cross between fairytale and reality. Etna is the largest volcano in Europe, which became part of the list of UNESCO World Heritage Sites for its spectacular nature trails. From its South part you can make guided tours in jeep / funivia that will take you through real lunar landscapes! 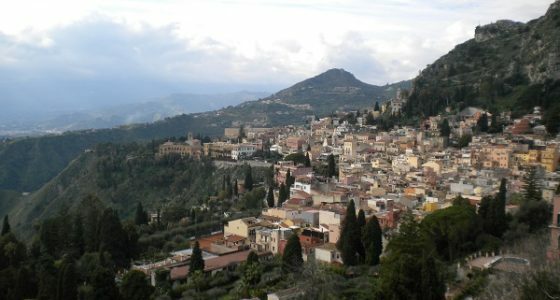 Taormina is one of the most popular destinations. Taormina is one of the most popular destinations. The pearl of the Ionian is,in fact, among the ten most beautiful Italian destinations for its historical and cultural heritage, the medieval streets, historic buildings, ancient churches and, above all, the famous Greek Theater. From its famous terrace, overlooking the Mediterranean Sea and located in Piazza IX Aprile, you can enjoy one of the most enchanting landscapes on the planet. 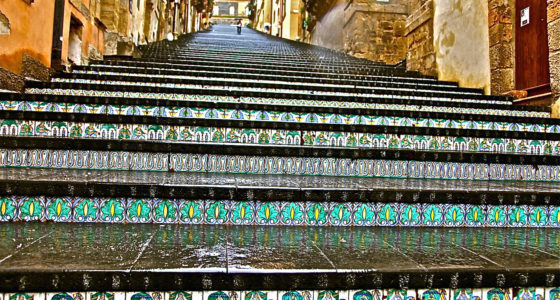 Caltagirone is the city of ceramics, whose production dates back to prehistoric times. But, in addition to ceramics, there is much more to discover! Its origins are very old, as evidenced by some finds dating back to the Roman, Byzantine and Saracen periods. Due to the rich presence of cultural and architectural heritage in the Baroque style, and also to the already mentioned production of ceramics, since 2002 it has become part of the Unesco Sites. Adults 35,00 euro - Children (4 – 12 yrs old) 17,50 euro - Infants free ( 0 - 3 yrs old).